Last night Old First Presbyterian Church hosted a special Saturday night concert in the Old First Concerts series. The occasion was a visit by Thorwald Jørgensen, one of the leading classical theremin players and a major advocate for growing the repertoire for the instrument. For those unfamiliar with the device, it is one of the earliest musical instruments based entirely on electronic technology (and may well be the earliest). The instrument’s Wikipedia page gives an extensive account of music composed for the theremin. 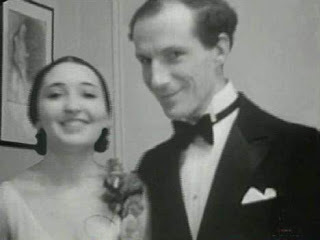 There is also a Wikipedia page for Clara Rockmore, who was probably the best known performer during the twentieth century. She had originally studied violin at the Curtis Institute of Music but had to give up her studies due to tendinitis. She then repurposed her skills to play Theremin’s instrument in recitals, usually accompanied at the piano by her sister Nadia Reisenberg. The two of them made many recordings, which have received revived interest through CD distribution. In many respects Jørgensen is this century’s champion of the instrument. Like Rockmore his skill rests on a foundation of the relationship between physical position and pitch necessary for playing instruments in the string family. However, while Rockmore’s instrument could be an unruly beast due to the unreliable qualities of analog hardware, Jørgensen has the advantage of more reliable digital control, much of which is due to the engineering advances of the late Robert Moog. Watching Jørgensen play, one can readily appreciate the precision of his technique. As famed violin teacher Dorothy DeLay used to observe, no string player consistently hits the right pitch all the time; but the best of them can readjust faster than the ear can detect. This is probably also true of Jørgensen’s technique, although it is interesting to observe how he uses finger movements to control the resolution of whole-tone and semitone intervals. 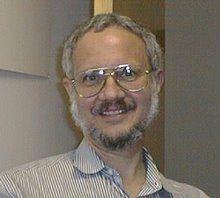 It is equally interesting to reflect on how much of his repertoire, all of which, both original works and arrangements, is based heavily on stepwise motion. Last night Jørgensen performed both solo works and compositions for theremin and string quartet. He was joined by the members of the Friction Quartet, violinists Otis Harriel and Kevin Rogers, violist Taija Warbelow, and cellist Doug Machiz. (As always, Harriel and Rogers shared the leader’s chair, Harriel taking it in the first half of the program and Rogers in the second.) As a group they performed The Invisible Singer, a suite of eight short movements by Canadian composer Simon Bertrand. This piece was being given its United States premiere, and Bertrand was present to offer some introductory remarks. In addition the program opened with Dalit Warshaw’s quintet for the instrumental grouping entitled “Transformations.” Jørgensen concluded the program with two of his arrangements for theremin and string quartet, one of which was a transcription of Sergei Rachmaninoff’s “Vocalise,” whose original version with piano accompaniment figured significantly in Rockmore’s repertoire. In all of these selections, the overall blend of sonorities could not have been better. 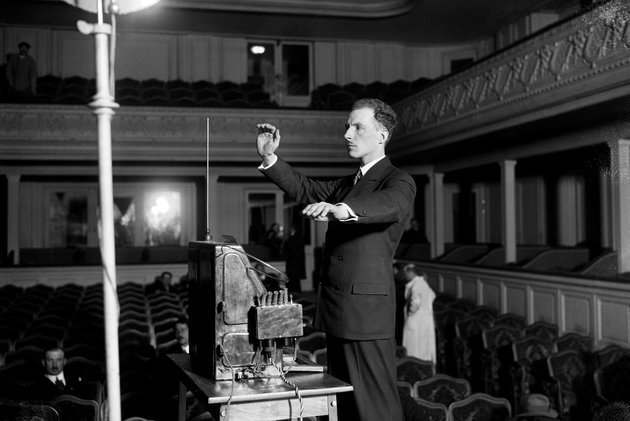 It was clear that all five performers were keenly sensitive listeners, resulting in a solid foundation of pitch relations that definitely reflected the impact of digital technology on theremin-building. For those unfamiliar with the instrument, it was easy to adjust to how well its electronic sounds blended with the strings, meaning that even the unfamiliar selections could be readily apprehended by the attentive listener. It was also interesting to observe how, in his solo performances, Jørgensen could incorporate the sampling technology of a loop-station and a microphone for his voice to weave rich polyphony around the monophonic limitations of his instrument. Friction also contributed with an almost blood-curdling account of Leoš Janáček’s first string quartet, named after Leo Tolstoy’s novella “The Kreutzer Sonata.” The source is a sordid tale of sexual frustration, betrayal, and murder, all delivered through a first-person narrative by a character that is clearly unhinged. Friction was not shy in presenting the thematic material, almost all of which is fragmented unto an extreme, with aggressive strokes consistent with the physical and emotional violence of the text. All four players clearly appreciated that his was not “polite” chamber music; and they had no trouble with a rhetorical delivery that was as true in spirit to Janáček as the composer had been true in spirit to Tolstoy. As if to ease that tension during the second half of the program, the quartet also played two of Machiz’ recent pop arrangements of selections by Prince (“Little Red Corvette”) and Porter Robinson (“Spitfire”), respectively. Wagner’s Epic Begins in Three Weeks!